Hi all! I'm back with a card for My Favorite Thing April Release Countdown Day 1. The release is so close! 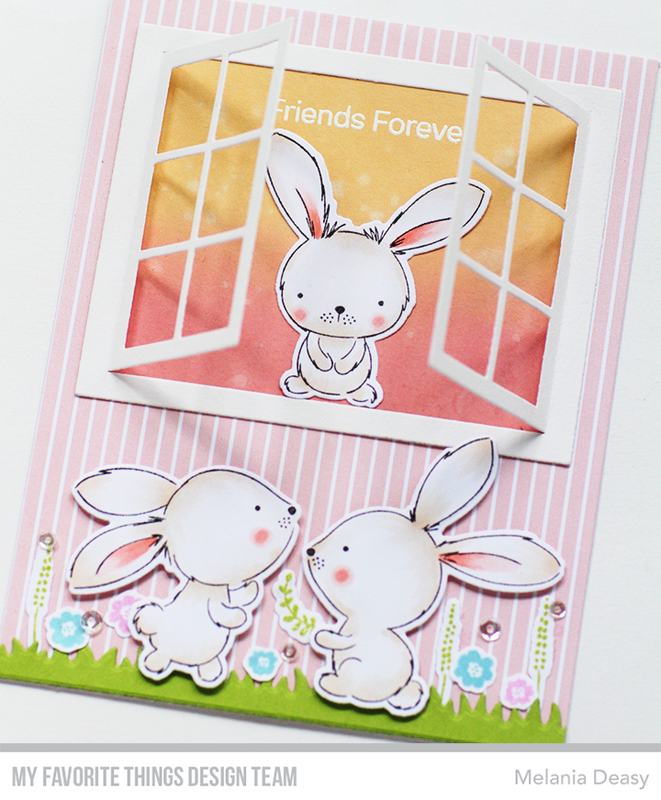 For my card today, I play with new dies and stamp set to make a friendship card! 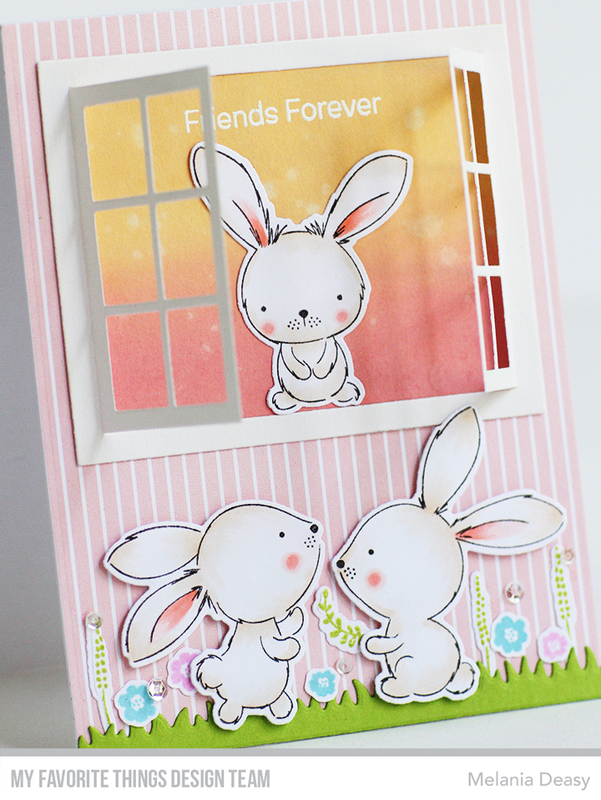 I stamp the images, color it using copic then die cut it.The sentiment is from white embossing powder. I add some clear sequins for the embellishment. Awesome release! Awesome creation! I love the blended background! Such a cute card! 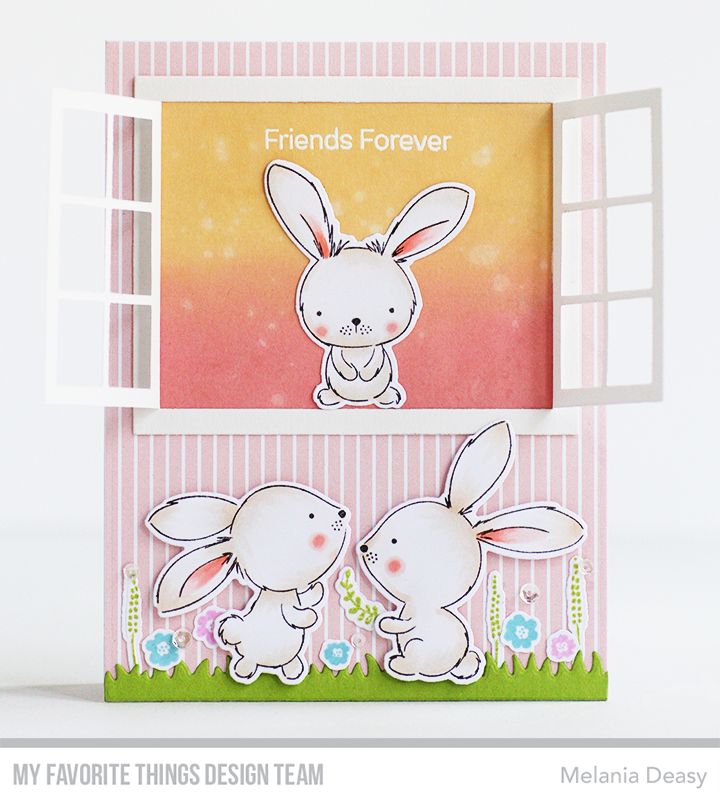 Love those bunnies!